Happy Wednesday everyone, hope your week is amazing so far. Today let me show you my new travel-size perfumes that I got at Nordstrom with my beauty purchase __ Dolce&Gabbana Dolce Rosa Excelsa, Kate Spade New York Walk on Air and Miu Miu Perfume. I think I don't need to tell you how much I like when I get travel-size makeup products or perfumes, it's such a great way to check out some new products before purchase them in full size. This is a soft rosy floral, very Sping appropriate perfume. It's not too strong so doesn't give me a headache and it can be worn day&night. The only thing is that I noticed it doesn't last all day. This Kate Spade 'Walk On Air' perfume is a fresh floral scent, at least that's what the label claims. Let me tell you__ this is the worst perfume I've ever smelled. Every time I sniffed this Kate Spade perfume, I had that disgusting feeling I used to have on any scents in my first trimester of my pregnancy, 5 years ago. This perfume gives me a headache from the first minute to the last, and I'm about to vomit until the smell is on my skin. Honestly, I don't remember I 've ever had this disgusting feeling with any perfumes. And finally Miu Miu perfume. This is my favorite among these perfumes. It's very elegant scent. It's floral, kinda pepery, rose and also green scent, I have to say, it's a very interesting mix of scents. I will definitely purchase the full size of this Miu Miu perfume, for summer. Have you tried any of these perfumes? Let me know in the comments below and have a lovely day. I love getting those simple size for the purposes of taking them when I travel, and I always forget packing them, and I end up grabbing the full size perfume. :( Those looks like a great scents. I will have to try some of them. 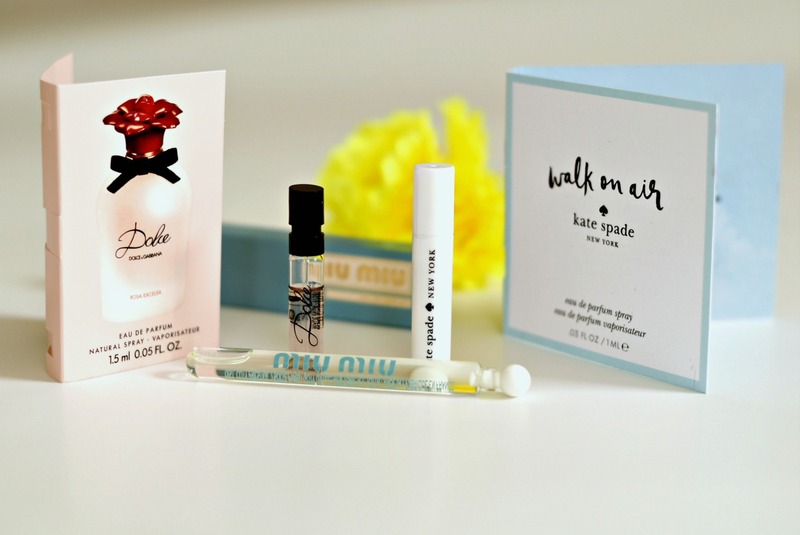 The Miu Miu perfume sounds really lovely, thanks for sharing! Thanks for sharing! I will make sure to stay away from the Kate Spade one. Have a great day! All off them seemed to be very good. Oooo the mui miu perfume sounds like it smells soooo good! Going to the mall today, might need to try it out for myself at Sephora! Awesome perfumes. Thanks for sharing! Haha, love your description of the Kate Spade one. I get headaches from a lot of perfumes as well. The Dolce and Gabbana one sounds amazing since I love light rose scents. I don't wear perfume myself, but I definitely see why people get the small sizes! I love travel size perfumes! They fit perfectly in your purse! Also, great selections, dear! I love that Kate Spade scent! Thanks for sharing! I like travel-sized perfumes, I always carry them in my bag!!! Oh no that Kate Spade one sounds absolutely awful! I'm definitely going to be avoiding it from now on-- thanks for the heads up! The Miu Miu sounds lovely! Thanks for a great review, Nina:) I also love getting travel-sized bottles; sometimes I take them with me on vacation instead of a big bottle; it saves so much space! P. S. I will make sure to stay away from that Kate Spade perfume, lol. I love travel size perfumes for testing out new scents. They are also perfect for traveling, since I don't wear a ton of perfume. So funny about the Kate Spade. Probably won't be trying that one! 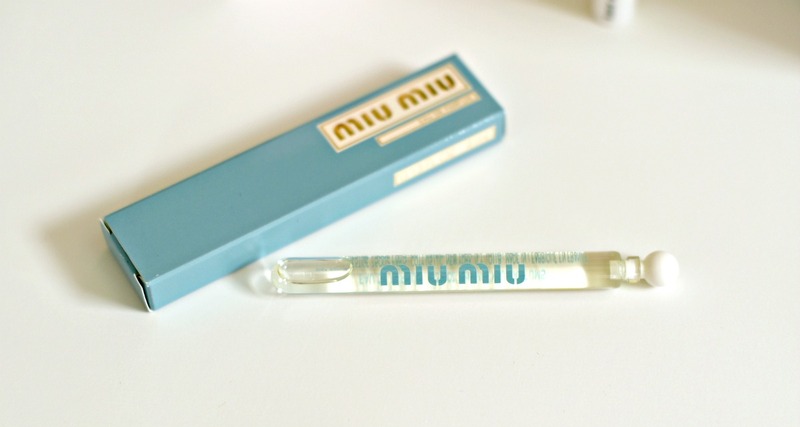 Want to try that Miu Miu perfume! OMG, the Kate Spade perfume sounds like an absolute nightmare! I am very curious about Miu Miu's perfume because one of the notes is Star anise, that should be really interesting. Great post! 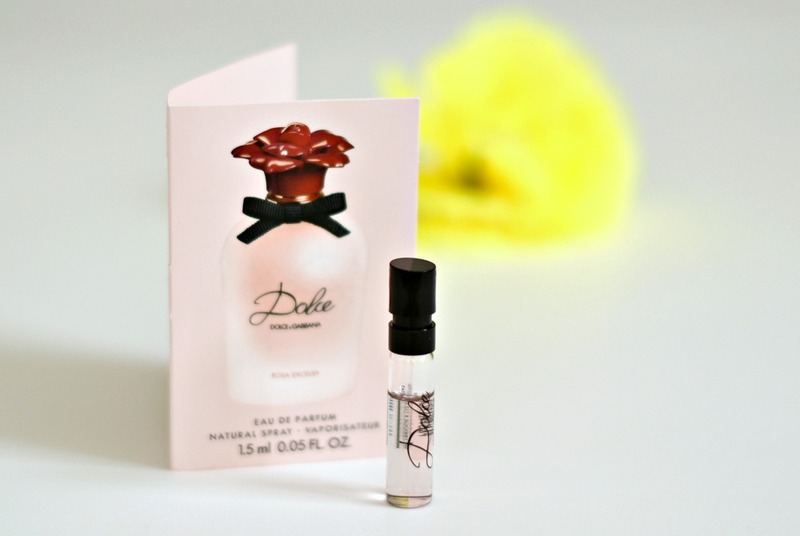 I love the mini D&G perfume..Nice review! I love the kate spade travel kit. I love travel-sized perfumes, too! I think my favorite would be Miu Miu too, since it has sandalwood, and I love it! Oooh, that Miu Miu fragrance sounds like my kinda jam! Dear Nina, I understand your happiness about the perfumes in travel size :) No, I don't have tested one of them so far but now I'm really curious how the Miu Miu smells originally. Thanks for the test and your effort! Such a well written review and beautiful scents! Thanks for sharing your view on these perfumes. I will skip the Kate Spade one!